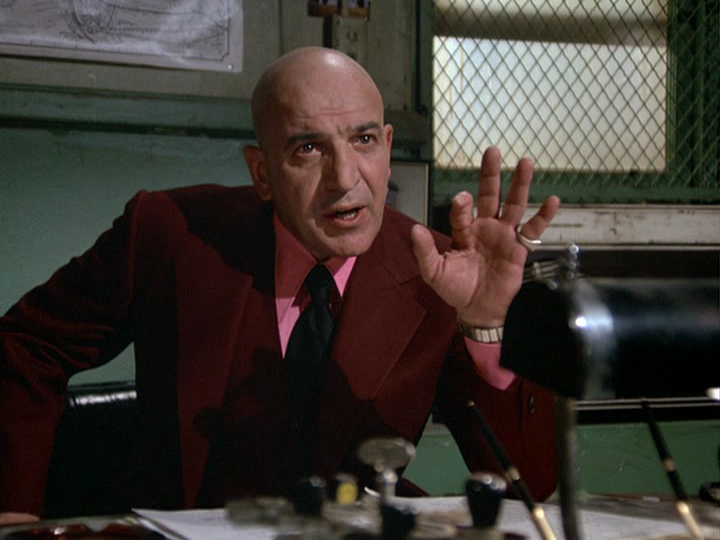 Kojak makes his entrance in the second season with siren blaring and the line, “If I have to get up at six o’clock in the morning, so can the rest of Manhattan.” He orders around not only his underlings at the Manhattan South station house, but also his milquetoast boss (played by Dan Frazer); in one episode he even eats food off poor, droopy Captain McNeil’s plate. A lot of great series needed a season to find the right tone, the right balance – shows as diverse as The Andy Griffith Show, The Defenders, M*A*S*H. Kojak took almost two full years to hit its stride. If you watch the second season in sequence, you can track this process as it takes place. You can see the writers figuring out which kinds of stories worked best for their characters, and then refine those into repeatable storytelling strategies. 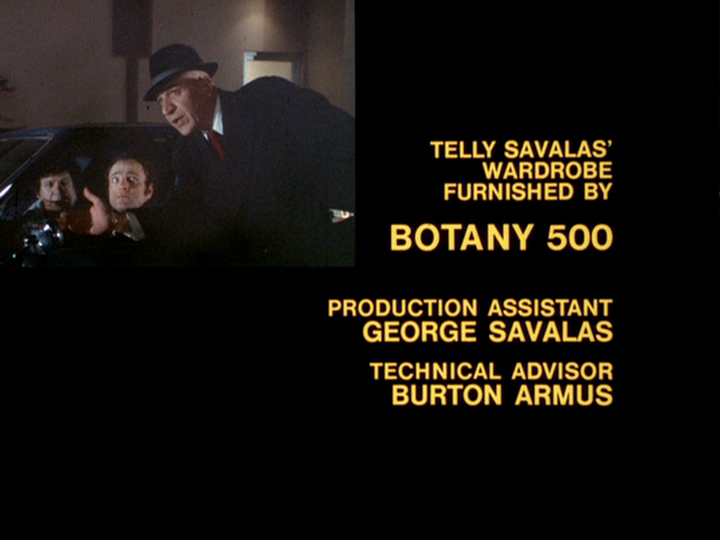 The police-procedural episodes are the rarest orchids in Detective Stavros’s desktop garden. (If you don’t get that, watch the show.) There are only three in the second season, two of them written by Burton Armus (a real N.Y.P.D. 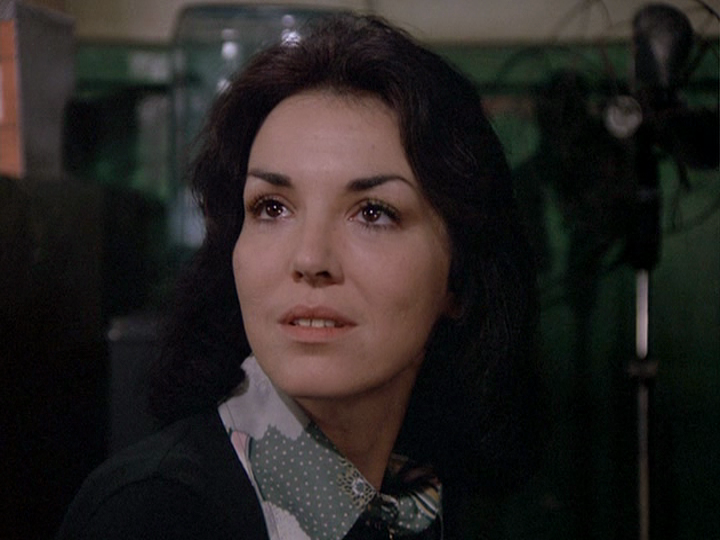 detective who served as the show’s technical advisor) and one by the aptly-named Joseph Polizzi. Armus’s episodes are choked with such dense insider lingo that, at times, it’s hard to follow what’s going on. 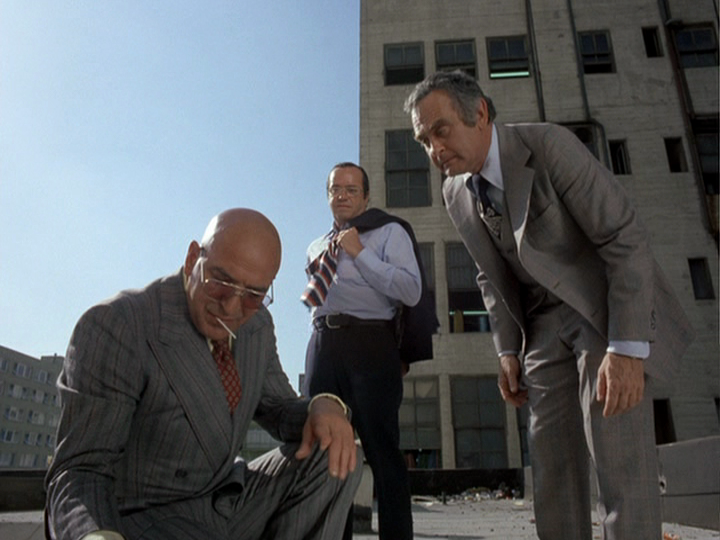 That’s not a complaint; for a show like Kojak, authenticity has more value than clarity. 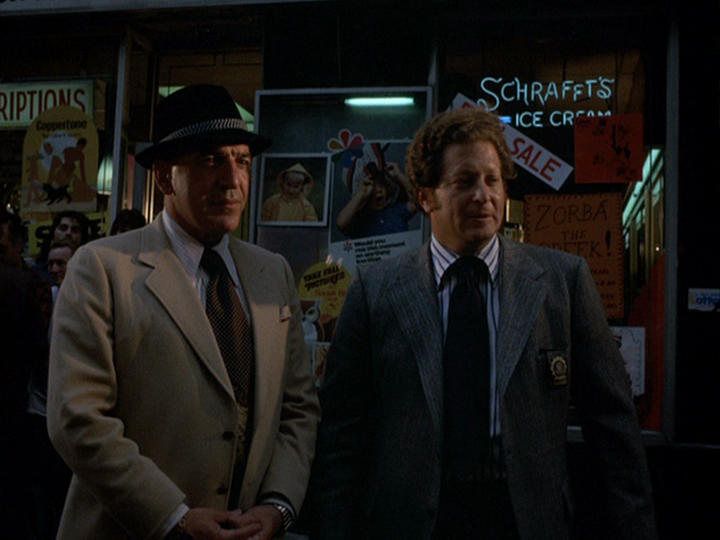 In Armus’s scripts, the police do not behave like television heroes; they are smart, bold, and unpredictable, but also very careful and plausibly self-interested. 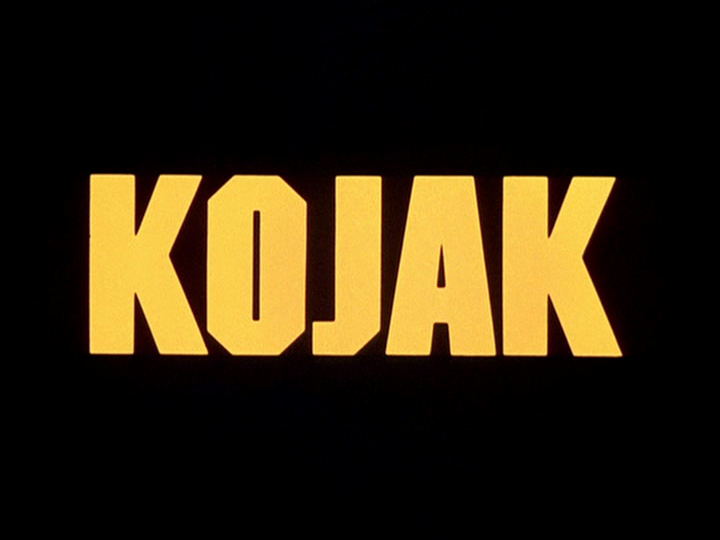 In Armus’s first script, “The Best War in Town,” Kojak disarms an internecine mafia war Yojimbo-style, by isolating the rival gangsters and playing upon their vanity and their paranoia, getting them all to squeal on each others’ past misdeeds. It’s hilarious in a just-crazy-enough-to-work kind of way, and it anticipates The Sopranos’ depiction of mobsters as vicious, dull-witted, and unintentionally funny.